Sadly, it is a fact that over fifty percent of businesses that start-up are on the scrapheap just one year later. Not only is it indicative of how tough business can be, but it is a scary thought that you may be in a situation where your business is more than likely going to fail. Success is elusive and is not always forthcoming. But, does that mean you shouldn’t give it everything and try to overcome the odds? Of course not! Because you might be one of the minority, and you will never know until you try. And as Edison once said; “I have not failed. I’ve just found 10,000 ways that won’t work.” Plus, there are a few measures you can take to try and stave away failure. The first thing you will notice is that money goes very quickly. In fact, before long you may not have any money left. What most businesses do then is not a good idea – they borrow more than they can afford. Consequently, their debt levels are unmanageable and it soon becomes suffocating. That is until the bank comes along and lifts the slack by taking their collateral. When you have too much debt, you are playing with fire. Retaining an accountant revolves around one thing – maintaining a healthy cash flow balance. What is remarkable about young startups is the fact that they do not reach out for help until it is too late. Accountants are professionals, not miracle workers, and you need to treat them as such. By hiring them early on in the process, you can use their expert knowledge of paying bills and tax loopholes to cut your company slack. Not only can they save you money, but they can also make you money. 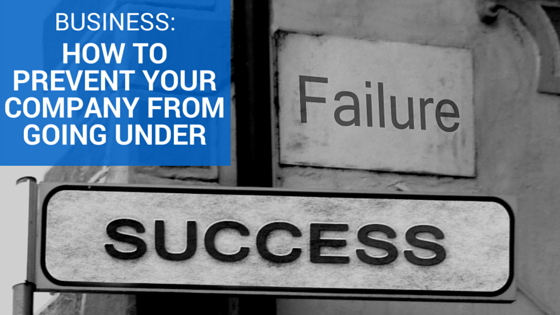 The main problem that new businesses face is a lack of finance, so it makes perfect sense. No, a lawyer won’t make or save you money in the strictest sense like an accountant. However, they will get you out of a couple of tight spots in the future. As business goes, getting sued is a compliment. It means that your competition, often bigger and more reputable, is scared of your lowly firm. So, they use lawsuits and litigation to try and scare you away. In these cases, professional advice is essential. A good lawyer will be able to guide you through the process. And, heaven forbid, if you are involved in a ‘legitimate’ legal battle, you’ll need all the help possible. The idea is to start making money as soon as possible. Not easy when all is said and done for a small business. In the past, it used to take companies months, sometimes a year, to make a profit. Nowadays, you can do it within a couple of weeks if you make the right choices. It is all about the perfect investment. Technology soon springs to mind, which is perfectly correct. However, there are other investments like outsourcing that you can consider. For example, Website Promoter takes care of all of your marketing needs to get you noticed on the web. The business plan is the foundation of your company. Without it, you are a headless chicken running aimlessly around. Your plan must be thorough and clearly state your objectives. Otherwise, you will have no idea what you are doing or how to do it.